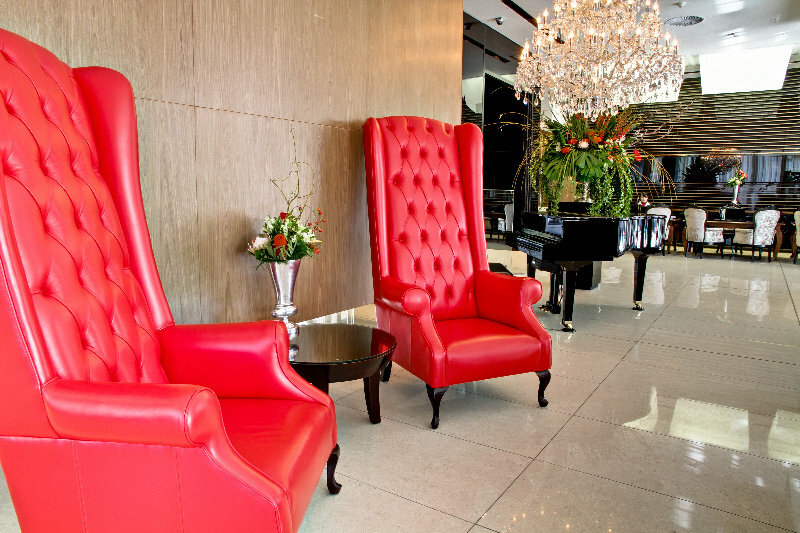 Bounded by Loop, Long, Pepper and Bloem Streets, the 22-storey tower hotel is located directly in the heart of the vibrant café society in the city centre of Cape Town, South Africa. 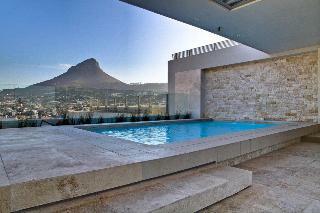 The city is at the foot of the majestic Table Mountain and Lion's Head and overlooks the crystal-clear waters of the Atlantic Ocean.||This deluxe all-suite city hotel is the ultimate in glamour and self-indulgence, with an emphasis on comfort and friendly hospitality. Facilities at the hotel include a lobby, a bar and a restaurant.||The hotel offers comfortable, open-plan studio suites with a small sitting area. 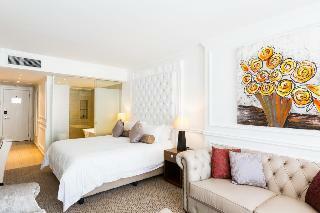 Some rooms have balconies overlooking Table Mountain, Signal Hill, the city or Table Bay. 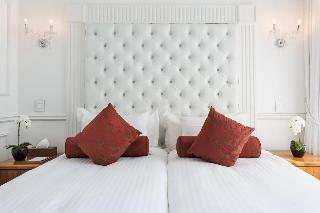 Each room has an en suite bathroom and rooms are furnished with double or king-size beds, a TV, Internet access and a safe. The well-appointed kitchens include a hob and oven, fridge, microwave, and crockery and cutlery. Tea and coffee making facilities are also provided.||The hotel's luxurious and intimate 25-seat cinema is available throughout the day and well into the evening and is designed in a retro Sixties style. For pure indulgence, the hotel houses a luxurious spa offering a multitude of beauty, massage and relaxation treatments created to orchestrate physical, mental and spiritual well-being. Guests can also work out in the hotel gym or take a dip in the outdoor swimming pool.||From sumptuous breakfasts to candlelight dinners, the hotel's continental-style restaurant offers an array of dishes. Also on offer are meals catering to special dietary requirements.||Directions from the N2 (from Cape Town International Airport): take the Strand Street off the ramp, travel up Strand Street and turn left into Long Street. Travel along Long Street, cross Wale Street and turn right into Bloem Street. Turn right into Loop Street and immediately right into the parking entrance of the hotel.